Episode 5 of Square Notes: The Sacred Music Podcast is live, and we have the privilege of bringing you an interview with Fr Cassian Folsom, OSB. Fr. Cassian, as many NLM readers know, is from the Benedictine Monastery in Norcia, Italy. 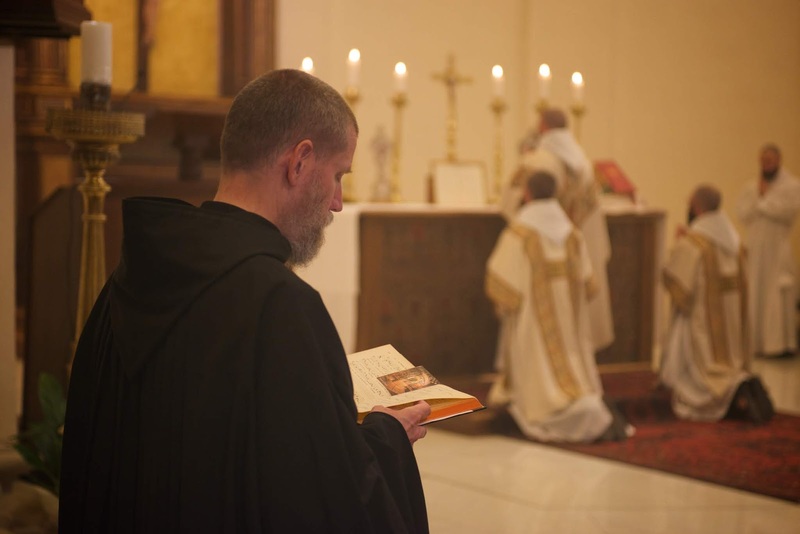 We discuss with him how singing Gregorian chant forms the spiritual life of the monks through the daily prayer of the Divine Office and the Mass. We also touch on the role of Gregorian chant in the spiritual life of lay people, and its role in parish music programs. Fr. Cassian is American-born and studied music prior to entering the monastic community of St. Meinrad in Indiana. In 1998, he founded his monastic community in Rome; the community moved to Norcia in 2000. Being steeped in medieval monastic tradition, the monastery is known not only for its 2015 best-selling CD Benedicta: Marian Chant from Norcia, but also for its production of artisanal beer. The monastery’s website is here. Buy the monks’ CD “Benedicta: Marian Chant from Norcia” here. Buy the monks’ beer here.